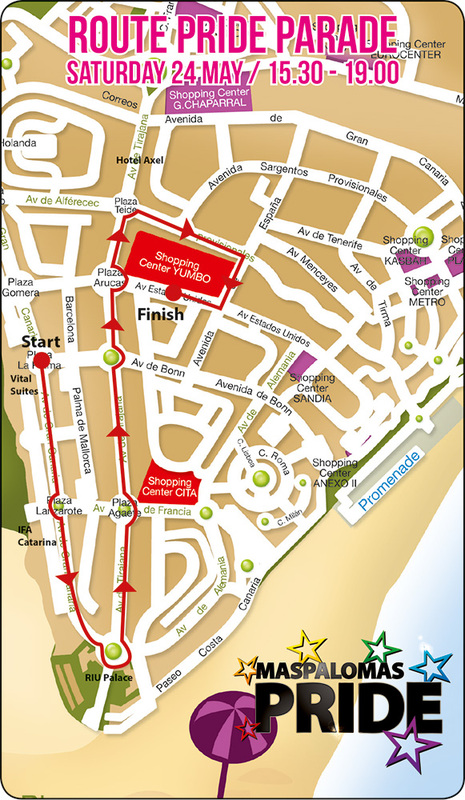 Cavalcade Street Streets Playa del Ingles · 15.30 – 17.30 / / free entry. Do not forget your costume! People from all parts of the island visiting the annual parade. Last year more than 50,000 spectators enjoyed the Pride parade. The parade is followed by a massive dance session with DJ Yumbo Square from 16.00 to 20.30.